Software Development & Technology Support - Give us a call if you need help with software development or technology support. Perhaps it an Excel macro, or even a complex .NET program. We have a variety of skills at reasonable rates. C#, Visual Basic, Lotus Notes API (C++), C, FORTRAN, Legacy Languages...just ask. Foxhaven Records Jazz CDs are collector's gold! Ask for the headliner's autograph when you order! Welcome to Foxhaven Associates ..an audio and video production company...and home of Foxhaven Records. Click on one of the icons to learn more about Foxhaven Opportunities. For more information, click on one of the icons! My Oklahoma State University History: While studying Electrical Engineering at OSU, I was asked to design and build an electronic dimming system for the University Auditorium. 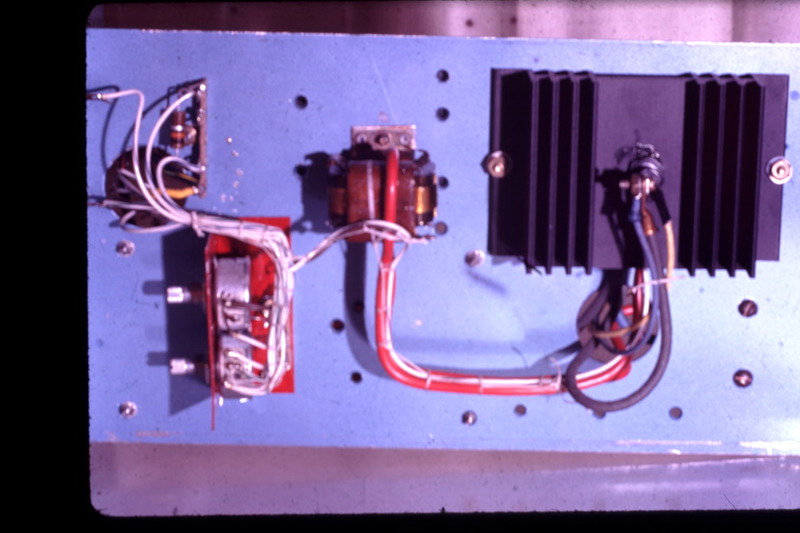 The Silicon Controlled Rectifier (SCR), a solid state device CIRCA 1964 was the root of the design. Shown in the photo is the system being tested in a workspace at the power generation lab at the University. My faculty sponsors were Dr. Bristow and Dr. Davis. The system was installed and operational until the University Auditorium was replaced by a new audortium. The system provided 30 circuits 1200 watts each. Its control console shown in the photo provided three banks of presetable control. 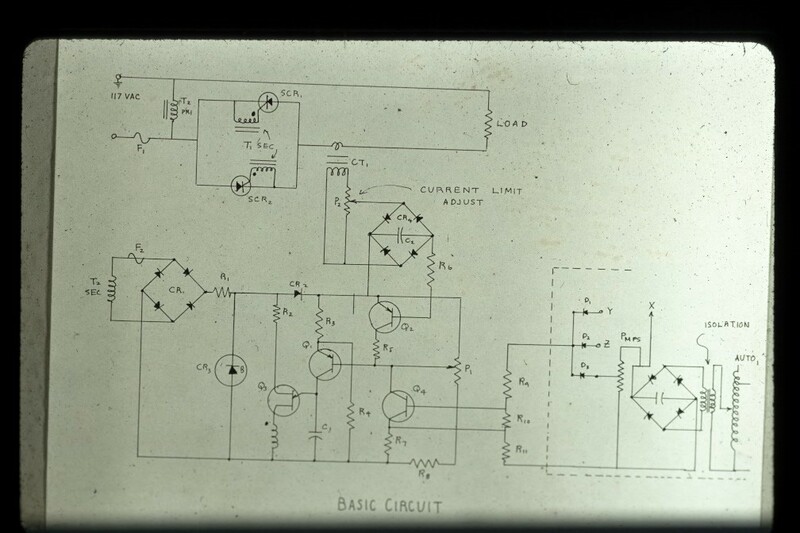 I think this was the first system like this paving the way for curremt technology dimmer systems. 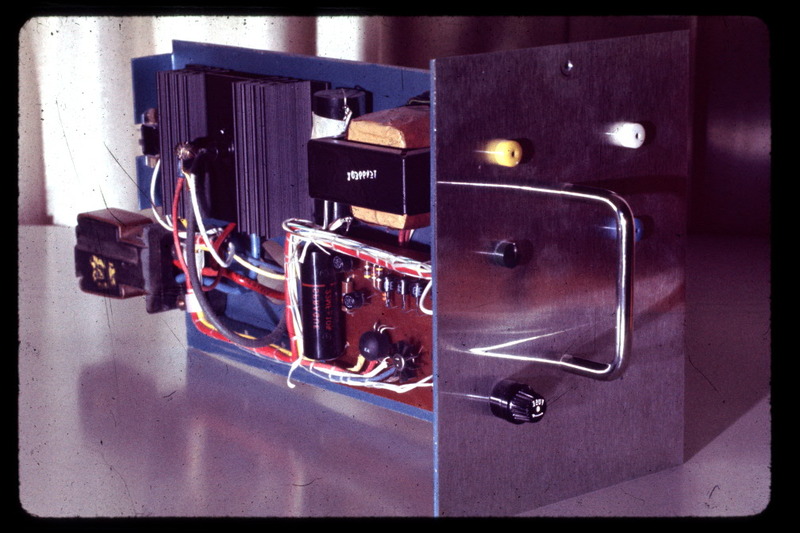 Control console, shown on the left, was fabricated in Tulsa, Oklahoma. 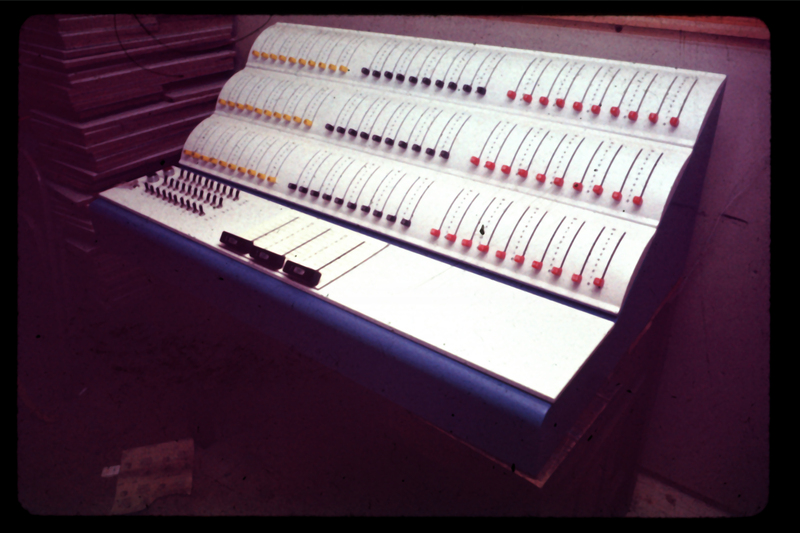 Once assembeled, its contents included 90 faders and three master faders which was installed in a control booth at the rear of the auditorium. The large cabinet (center) contained 30 dimmer circuits, each in quick disconnect modules and a breaker panel. The cabinet was installed in a room under the stage. 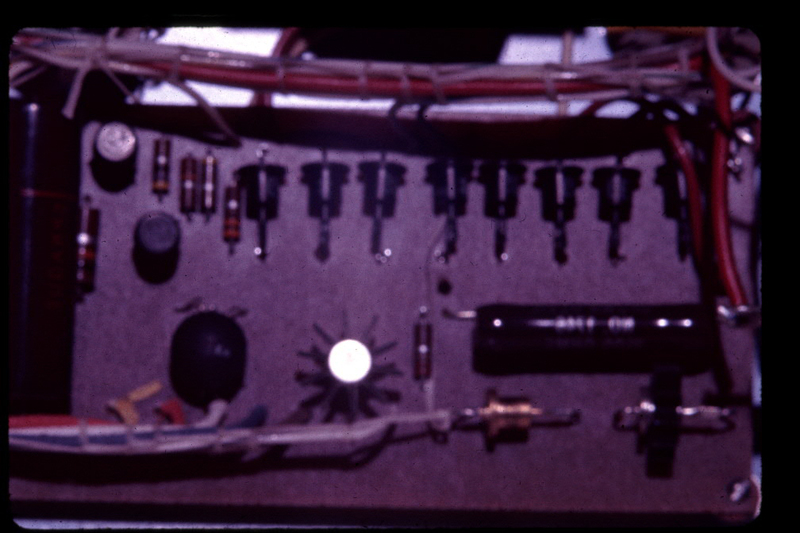 A circuit trunk was installed from the cabinet to a panel next to the existing old dimmer system. 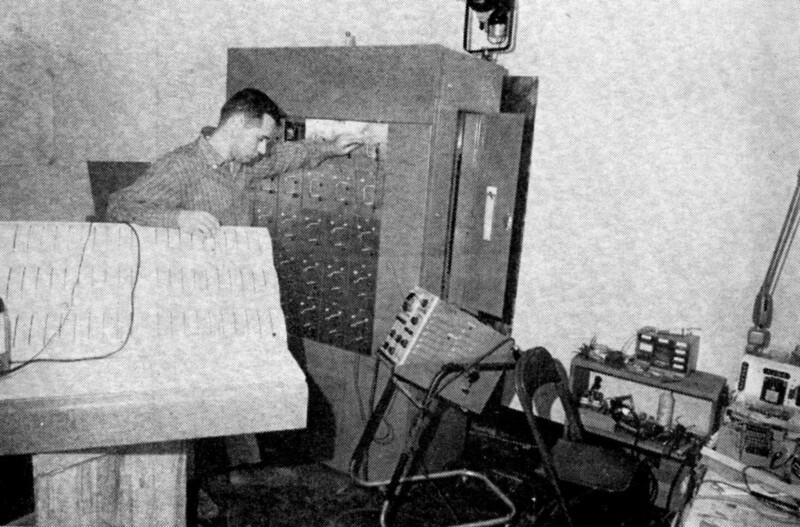 Control printed circuit boards were etched in Dr. Bristow's lab in the Engineering building; components for the circuit boards were assembeled and tested in the basement of the Sigma Chi house, 1101 University during the summer of 1965. Looking back from 2018, I appreciate the confidence that the University had in me to take on this project.